Chunky wheels. Suspension. The correct way to ride. So, it appears I haven’t blogged here for nearly a year. Doesn’t time fly? I guess it’s about time I posted an update. 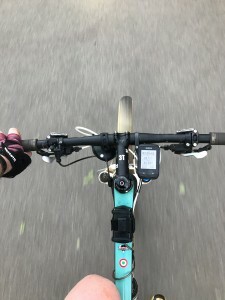 When last I blogged, I was still trying to find my feet again after some time off the bike. I had officially declared I was quitting road riding, and was working with a psychologist to try and mitigate some of the worst effects and try to get back on the Mountain Bike at least. As things turned out, mid-year I was offered a new job – and this proved to be the turning point I needed. This particular job offered remote working options, and so a plan began to form. A cunning plan. A plan so cunning, you could pin a tail on it and call it Mr Fox. In October, it all came together, and I left Sydney altogether, and moved into the glorious Ovens Valley, NE Victoria. Yes, I now live at the foot of Mount Buffalo, right in the middle of 7 Peaks country. Specifically in Porepunkah, a dormitory village for the neighbouring town of Bright, the famed cycling and tourist mecca. Since I got settled in, I’ve been riding more often, in more scenic surroundings, with safer roads and nary an argument. I’ve had the grand total of one moderately close pass from a driver but – get this – it didn’t bother me in the least. 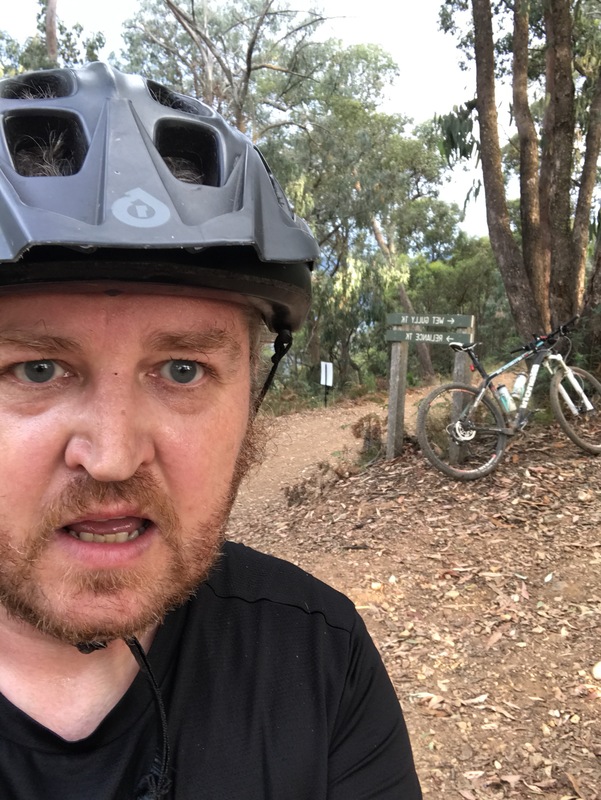 I haven’t hit the mountain roads in earnest yet (notwithstanding one ill-prepared, spur of the moment assault on Buffalo), but I’ve been riding the MTB on some amazing trails and doing a lot of flat-to-rolling road. I’ve been up and down the Murray to Mountains Rail Trail enough that I know every bump and ripple between here and Gapsted. 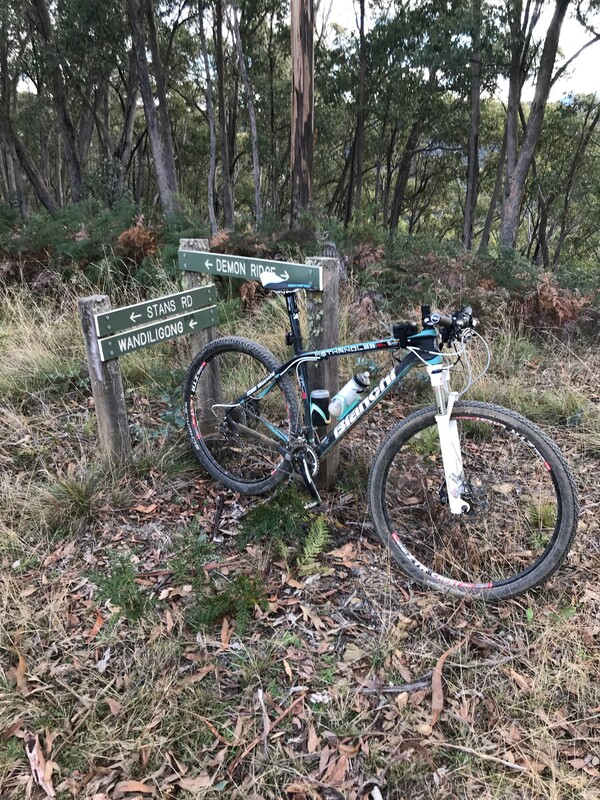 I’ve thrown my hardtail down the one-of-a-kind Hero Trail, encountered snakes, magpies, kangaroos and wombats and generally had a great time of it. 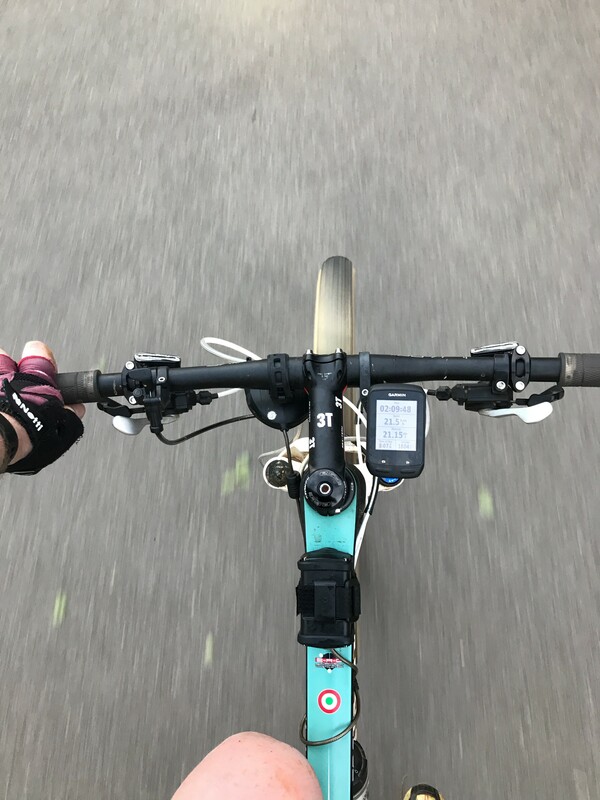 I’m slowly dropping the weight back off, and transitioning (again) from couch-potato-who-used-to-ride-bikes-a-few-years-back to masters racer and MTB explorer. You might say I’m back. Not being much of an early bird, I haven’t yet managed to get out for the famous 6am Bright bunchies, but it’s a new year and the mornings are clear, so that’s going to happen soon. 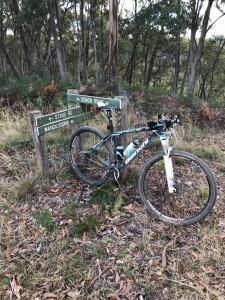 I’ve met a few of the locals, I’m getting familiar with Mystic MTB Park and I’m planning lots of rides on the long local mountain trails, some sensible, some on the adventurous side. And the blog? Well, I might blog a few local routes, and maybe get some picks at the upcoming Audax Alpine Classic, but I’ve also got a new project in the works, which I’ll announce here soon. Lastly, for those readers who I know in person – I know some of you exist. Yes, I have spare rooms. Come on down! This weekend saw the first round of the Rocky Trail Entertainment Shimano MTB GP go off at Awaba MTB Park in NSW’s Hunter region. A huge turnout braved the mud and changeable weather after some rather touch-and-go weather conditions through the week. 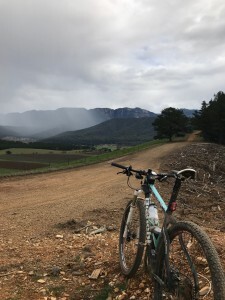 The first attempt at running the event was a washout, so everyone was eager to get the series started, not the least being the organisers, who took to social media to calm nervous entrants who’d spent much of the leadup glued to the BoM radar. I was, of course, entered – with two changes from last year. This year I’d be racing in the seven hour category instead of four, and also I’d be ticking over from the Elite into the Masters age group, since I’ll be turning 40 in 2014. Happy 100th Birthday Rocky Trail Entertainment!! 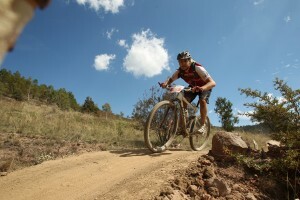 From the recent JetBlack 24 hour, Rocky Trail’s 100th event. Here’s to at least 100 more! Australia now has an embarrassment of riches in terms of XCM racing, and yesterday that lineup was further strengthened by the announcement of the Maverick XCM Series. The name is something of a thumbed nose towards the Real Insurance XCM Series, which formerly included two of these races but was dropped for 2013 and revamped for 2014 without its former flagship events, but with the backing of Cycling Australia, who have ambitions to integrate it into the national XCO and DH series, thus making it a far more national-scale event. From this it will gain a far wider reach but possibly alienate some of the XCM-faithful who could formerly ride each and every Real Insurance XCM event, but will now be hit with huge logistical hurdles if they want to do the same in 2014. 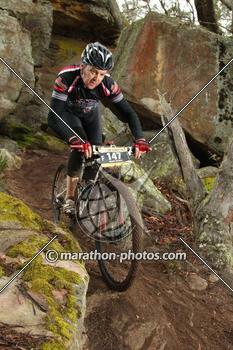 Yep, the 2013 Camelbak Highland Fling went off yesterday, but for me the day was not without a hitch or two. Last year, I signed up late for the Fling after posting a competitive time at the 2012 Kanangra Classic. I figured another 100+km XCM a week or two later would be awesome, so I headed off to Bundanoon at an unholy time of the morning, only to end up parked at the side of the Hume Highway with a flat tyre and no spare. I’d used my spare the week before and not got round to replacing it, so 2012 was a no-show. I went home and sulked.